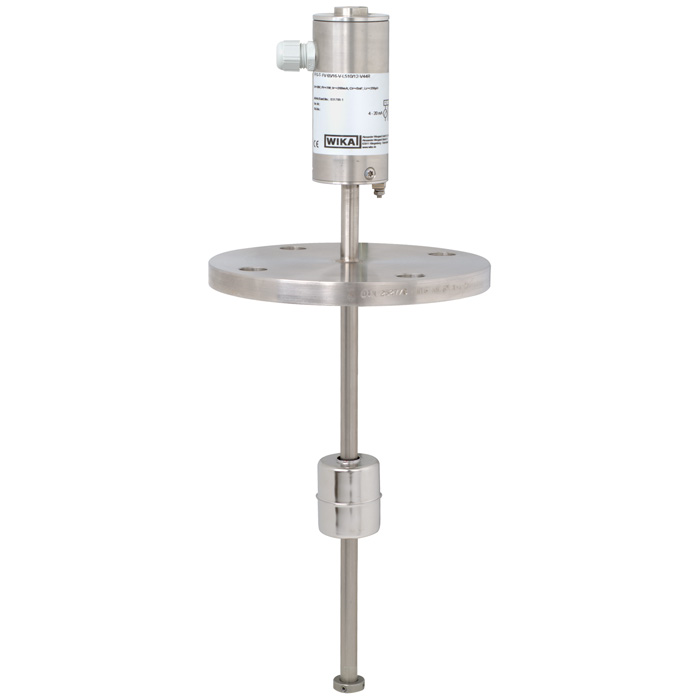 The level sensor models FFG-P, FFG-T, FFG-TP and the FLM-H level sensor are used for the high-accuracy, continuous level measurement of liquids and are based on determining the position of a magnetic float according to the magnetostrictive measuring principle. The magnetostrictive measuring principle of the level sensor enables the continuous measurement of levels, independent of physical and chemical changes of the media such as temperature, conductivity, dielectric, pressure, foaming, vacuum, condensation, vapours, bubble formation, boiling effects and density change Via the HART® interface, the parallel measurement of overall level and interface layer is possible. By means of the level sensor, the level can be displayed proportional to volume or height. 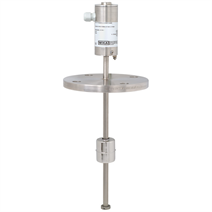 Installation and commissioning of the level sensor is simple: Only one calibration is carried out, a recalibration is not required. Float, process connection and guide tube can be manufactured from titanium, stainless steel 1.4571, 1.4435, 1.4539 or various plastics.